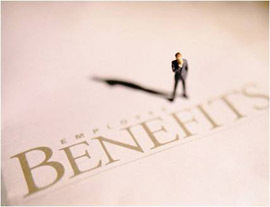 Benefits - The Premier Los Angeles CPA Firm | Velin & Associates, Inc. Given certain eligibility requirements, we offer all of the following to our professional staff. Employee kitchen with complimentary juices, coffee, fountain pop, etc. An expert at their service; Dmitry always has the answer to any question I have. The environment is very professional but still welcoming. This is the only company I will use, I highly recommend them if you are looking for professional advice and someone you can trust. Dmitriy takes time to understand your exact situation. Then patiently explains all of your options, the pros and cons of even the minutest decision. He is an expert in his field and a gentleman. You can tell he truly cares. With something as important as taxes I'm lucky to have Velin and Associates on my side. Thanks Velin and Associates.... best accountant ever! 7315 Sunset Blvd., Suite D West Hollywood, CA 90046.